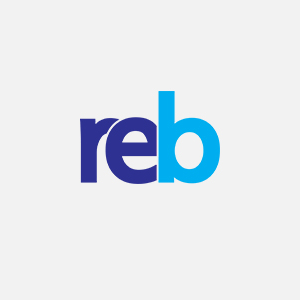 Real Estate Business, realestatebusiness.com.au, Real Estate Business e-newsletter and other Real Estate Business -related communication platforms (collectively “Real Estate Business”) are owned by Momentum Media Group Pty Ltd (ABN 24 610 789 369) (“Publisher”). All rights reserved. Copyright is reserved throughout. No part of this publication or the website may be reproduced, modified, copied, republished, or distributed to a third party without the express permission of the Publisher. Real Estate Business is intended for general news and information purposes only. The material, including any data from third party data providers and/or its associated analysis and commentary, has not been prepared by taking into account your business needs, investment objectives, financial situation, business positioning, your current situation or personal needs. Nothing in Real Estate Business constitutes or is intended to constitute business, investment, financial, bidding, property, mortgage or legal advice and should not be relied upon by any person as a substitute for professional advice. Readers are strongly encouraged to make their own inquires and to seek independent professional, or legal or financial advice before making any buying, selling or business decision. The views expressed in Real Estate Business are not necessarily those of the Publisher, its officers or employees. The Publisher makes no warranties in relation to the information provided and, to the full extent allowed by law, disclaims all warranties of any kind, express or implied. While every care has been taken to ensure all information contained in Real Estate Business is correct at the time of publishing, the Publisher, its officers, employees, agents, stakeholders, agents and representatives are not liable, in contract, tort or otherwise, to any person for any loss or damage arising out of or in connection with any inaccuracy, error or omission contained in Real Estate Business (including in relation to any statement, opinion, representation, data, graphic, hyperlink or advertisement).